Hopwood House are pleased to inform you Baltic 56 is now fully sold out. Located in the thriving Baltic Triangle area, Baltic 56 is set to bring 120 large, self-contained studio apartments to the student market, providing investors with plenty of opportunities for property investment in Liverpool. Our latest launch in Baltic Triangle is Parliament Square, a stunning residential development set to bring a staggering 505 luxurious studios, one, two- and three-bedroom apartments with superior hotel services to the market. Each unit will feature floor to ceiling windows to maximise the views of the River Mersey or iconic landmarks such as the Anglican Cathedral. Parliament Square is a four-phase residential development due to be completed in Q4 2020 with prices starting from just £94,950. Alongside a 7% net rental assured for 1 year, investors can benefit from 4% interest on deposited funds (dependant on payment plan). Baltic Triangle takes home the highly desired L1 postcode and has been voted as one of the best places to live in the UK. Nearly £200 million has been invested in the streets of Baltic Triangle, with a further £600 million planned for the future. In a reflection of the ongoing investment, price growth in Baltic Triangle postcodes has risen by more than 25% over the last 5 years. 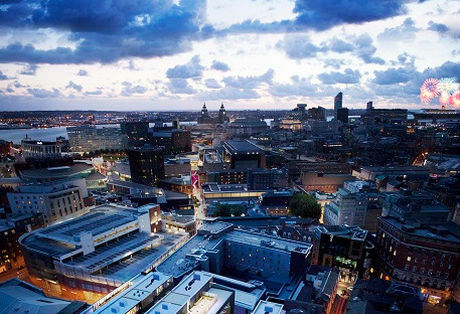 Liverpool on a whole is continuing to transform, with major regeneration projects taking place throughout the city centre. A recent JLL report has forecasted a 22.8% house price increase and a 17.6% rental growth between 2017 to 2021. This shows the transformation of Liverpool city centre is boosting the demand for housing and as a result is attracting more investors to the city. In 2016 a £2 billion transformation plan was unveiled on the 450-acre Knowledge Quarter, with the aim of creating a world-class destination for science, innovation, education, technology and the creative and performing arts. The £1 billion Paddington Village, within the Knowledge Quarter, will specialise in life and medical sciences as well as including hotel and residential space. The transformation is expected to attract more students to the city meaning the demand for student accommodation will increase. Strategically positioned in Liverpool’s thriving Knowledge Quarter and just minutes from the University of Liverpool is Aura, a four-phase high-specification student development. Aura is due to comprise of 1007 luxurious student pods and apartments starting from just £64,950 with 8% net assured for 5 years. The first phase of Aura is now fully sold out and under construction. Phase two is approximately 95% sold and phase three has only just come to market. Investors making an investment in phase three of Aura will benefit from two payment plans and 2% interest on deposited funds (dependant on payment plan). Don’t miss out on your opportunity to invest in Liverpool. Call +44 (0) 161 337 3890 to speak to a sales consultant or email enquiries@hopwoodhouse.com.